The Swiss-Greek Chamber of Economics (SGCE) was founded in 1996 as a personal and private initiative of Mr. Nikolaos Aggelidakis, and is registered at the Commercial Register of Canton Zurich. 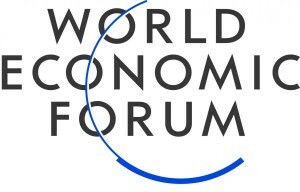 The Chamber is an organization involved in the development of economic relations between Switzerland, Greece and the European Union, with the kind support of the Swiss Government and the help of the Greek Authorities, mainly in areas such as investments, import and export, cooperation, exchange of technological and cultural assets. It is the Chamber‘s goal to strengthen Swiss-Greek relations by means of promoting common, long-term economic interests. An annual program of action released by the board should help achieve the Chamber‘s goals. It is not in the Chamber‘s interest to participate directly in any commercial activity nor be involved in a financial, economic, industrial or any other commercial project. Instead, the Chamber focuses on maintaining close relations with government agencies of both countries, with economic associations, industrial and commercial companies as well as cultural organizations. In pursuit of these goals, the Chamber is active in both Switzerland and Greece. The Chamber‘s main office is located in Zurich but representative offices are established in Athens, Greece. With this accomplishment, it becomes not only beneficiary, but also essential for the protection of the combined interests involved, of all the members in both Swiss-Greek Chamber of Economics of Switzerland and Greece. The Chamber not only intends to foster and promote economic relations but also to encourage an understanding of another culture among its members of its Greek partner organization. An understanding of the special features of a business partner‘s culture is certainly a solid basis for long-term co-operation based on trust in a cultural and economic environment. The Swiss-Greek Chamber of Economics is a non-profit organisation. To promote economic relations between Switzerland, Greece and the European Union (inclusive of cultural aspects). Mr. Aggelidakis, how, when and for what reason was the Swiss-Greek Chamber of Economics founded? The Swiss-Greek Chamber of Economics came into being on the 25th of March, 1996, as an economic organization, and the result of private sector initiative. The truth is that the idea had been developing in my mind for more than five years before it became possible to turn it into a reality, thanks to the active support of the whole board, but especially of the founding members and all of those who were involved in the very early stages.The original idea was that, as Greece and Switzerland have enjoyed traditional links, both economic and cultural, between their politicians at least, since 1821, it was about time something was developed on the commercial level. Would you care to enlarge on that historical background? Certainly. As I said, there is a long history of common links between the two countries. At various time of crisis, historical figures from one country have come to the aid of the other. For example, Ioannis Capodistria, later to become the first President of Greece, fought to defend the Swiss cause at the Congress of Vienna in 1815, in his capacity as envoy of the Russian Czar. It was this which earned him honorary citizenship of Geneva and Lausanne.Capodistria also made an important contribution to the drawing up of the Swiss constitution. Moreover, during the Greek struggle for liberation in 1821, several of our countrymen took up arms alongside the Greeks. There was Louis-Andre Gosse, for example, the superintendent of the fleet, who was made an honorary citizen of Athens, Emanuel Hahn, lieutenant general and organizer of the Greek army and defender of the Acropolis. Charles-Guillaume Heidegger, commander at Nauplion. And finally, Hans-Jakob Meyer, publisher of the ‘Greek Chronicle,” who fell at Messolonghi. Genuine Philhellenes, who did not hesitate to lay down their lives for Greece. It is a very impressive list, but tell me, what was the most pressing need behind the setting up of the Chamber of Economics? And what sort of response did you receive from the official world? As it turned out, the Chamber is meeting a very definite need, felt by both Swiss and Greek businesses. Up until now, business contacts had to be made through official channels or by the personal efforts of interested parties right on the spot. This was a cumbersome way of proceeding, costly and time-consuming. There was a very warm official welcome for the establishment of the Chamber. We had discussions in the Greek Embassy in Bern and regular contact with the Swiss Embassy in Athens. We also had a very positive reaction from the ministries and state organizations concerned with commerce, which we found enormously encouraging. Meanwhile, we are remaining in very close contact, especially in Greece, with the relevant authorities – the Ministry for National Finance, for example. What difference exactly is the Chamber going to make? Surely there are already government agencies set up to do precisely what you will be accomplishing? Yes, of course there are, but we don’t for a moment see the Chamber of Economics as entering into any kind of competition with official agencies. What we will be working towards, as I said, is the promotion of more efficient business activity through closer cooperation and coordination. A whole range of people should be able to profit from this in the future – not just the businessmen and investors that are directly involved, but all of their own network of contacts, as well as consultants, lawyers, and all of the members of the Chamber from both countries. You use the word ‘profit.’ How exactly do you see both sides profiting from the work of the Chamber? Greece offers very exciting prospects for Swiss businessmen and investors, not just as an EU member, but also as an access point to the rapidly expanding markets of SE Europe, the Balkans, the Near and Middle East, not forgetting the states of the former Soviet Union in the region. Greece has both the opportunity and the will to build on its traditional position as a commercial gateway to the Near East and a trans-shipment center for the whole region.Naturally, Greece is affected by local structural changes as well as by developments in the international economy, but all the same the country is moving in a very interesting direction.From the point of view of Greek businesses the Swiss market has significant potential for growth – provided of course that Greek products and services can build themselves a more widely identifiable profile. How does the Chamber itself see its mission? The Chamber sees itself as an association of interests whose role is the bilateral promotion of economic relations between Switzerland and Greece, with the main emphasis on the areas of investment, trade, transfer of technology and cooperation – to name just a few.But you can never divorce economic development from public relations, from the need to enrich one’s knowledge of the foreign market with actual, lived experience of the foreign culture, and from the fundamental question of what supply is actually available on the market. The Chamber can see the necessary first steps being taken here, in a direction definitely worth pursuing. Would you like to go into a little more detail here? With pleasure. These are all connected with an overall objective of the Chamber and bring us back to the target areas I have previously mentioned.The goal of the Chamber and its members is as follows: By setting up contacts, by providing services and access to networks, by publicity and closer cooperation with public and private sector institutions, and by making businesses aware of both opportunities and necessary conditions for expansion – by all of these means – to expand the range and volume of business participating in both Switzerland and Greece. Now if we take our target areas one by one, the situation is as follows: As far as investment is concerned, Switzerland is already one of the top, non-EU investors in Greece. And attractive opportunities in this area are by no means exhausted. For example, despite the deregulation of the Greek of the Greek banking system, no Swiss bank has yet opened a branch in Greece. Rep-offices have, it is true, been operating in Athens for quite some years now. Moreover, Credit-Suisse, another of our members, also opened up an Athens office, the first of the big Swiss banks to do so. Outside the banking sector, we see some 50 Swiss businesses with partners or local offices in Greece, definitely a good sign. But if you think of the huge market region, which I mentioned earlier, you have to admit that the Swiss presence is nowhere near saturation point. As for the service industries, tourism is not the only area of mutual interest. Transport, communication, development, processing, software, finance, insurance – these are just to name a few service industries offering still untapped potential. If you look at trade in goods, then there is still room for a higher volume of Swiss exports to Greece, both to cover domestic consumer demand and to supply Greek industry. And there’s still plenty of scope for Greek exports to the Swiss market to grow. How would you sum up the current state of economic relations between the two countries? The balance of trade between the two countries has traditionally been to Greece’s disadvantage, at least in the area of exchange of goods. However, the balance is redressed to come extent in that every year more and more Swiss – and the number is currently rising by an annual percentage increase in double figures – are visiting the land of sunshine, the land of the Greek gods. Greece is a very popular holiday destination with the Swiss: the country, the people, the lifestyle and culture are highly appreciated. The number of Greeks visiting Switzerland looks modest by comparison; movement in this direction is sluggish, unfortunately, with only a few tens of thousands of visitors annually. I hope we will see a change over the next few years. What exactly does the Chamber offers its members? Apart from representing their local interests, the Chamber offers its members a range of services to help their businesses grow. For example: economic research, contacts and business openings, advice on local laws, taxes and finance, support in dealings with local authorities, public sector institutions and interest groups; as well as services like facilities searches, advice on mergers, acquisitions and the setting up of companies. What we are doing in both countries is to set up a framework in which these services can be provided. We already have a secretariat in Zurich and a liaison office in Athens. After many years and much effort by the Board of Directors, and the contribution of many hours of personal time, I am proud to announce: The President of Greece, Mr. Konstantinos Stefanopoulos, in a joint decision by the Greek Prime Minister and Minister of Commerce and Development, consented with the Presidential Decree No. 330 of December 2nd, 2003, in the creation of a newly founded sister chamber to our own, by the name: Greek-Swiss Chamber of Economics. With this accomplishment, it becomes not only beneficiary, but also essential for the protection of the combined interests involved, of all the members in both Swiss-Greek Chamber of Economics of Switzerland and Greece. Mr. Aggelidakis, you have used the word ‘culture’ or ‘cultural’ several times. What in general terms do you mean by these words? It is quite simple. The Swiss-Greek Chamber of Economics will not be confining its activities to developing and nurturing economic relations, but will also seek to foster in its members and partners in both countries an understanding of the cultural context of the other country. I know you will agree with me that the knowledge of the local features of a culture as it is lived every day by ordinary people cannot fail to promote mutual understanding and thus to establish a solid base for interpersonal relationships. This is in fact a credo enshrined in the founding charter of the Chamber. At any rate, it is a philosophy which has proved fruitful in actual experience for both the Board and myself, and what is even more important, the feedback has been equally positive. Let’s stay for a moment longer with the question of culture. As we all know, the Greek Orthodox Church has roots that go very deep into the soul of the Greeks. Could you round off the interview by telling us a little bit about this? As I said before, it is not only the business relations that interest the Chamber and its Board, we would also like to involve out project’s guardians of culture and tradition like the Greek church and its various representatives. I think this could be of great advantage to Swiss-Greek relations. Because of the church’s deep roots in Greek culture, and despite the very clear division between church and state, religious dignitaries still have great influence on business decisions in Greece, something Middle Europeans are very likely to underestimate. In Greece and in the Greek communities of the Diaspora, you will hardly ever see a new business opened, a business event, or an inauguration of some new project, without the presence of a priest or bishop, there to bless the enterprise and assure it of success. Thus in the spring, we too accepted with gratitude the blessings of the Greek Orthodox Church, delivered in person by his Eminence, the Greek Orthodox Metropolitan in Switzerland, Damascinos, for the work of the Swiss-Greek Chamber of Economics, and his assurance of their advice and support whenever needed. We hope that this will enhance the traditionally good relations between the two cultures. Members of the Swiss-Greek Chamber of Economics are industrial, trading companies, public and private corporations, as well as individuals. Please pay upon receipt the invoice. We invite you to affect the transfer by using the Bank Account at you earliest convenience. For other payment methods, please e-mail: info@sgce24.eu and swissgreek@gmx.ch for instructions.